I did one of his weekend courses recently in Canberra and it was fantastic. Tim Ferguson is generous, smart and a fabulous teacher. He’s a humane and witty guy who shared the secrets of comedy and the milieu of comic writers and performers in Australia with us. And it was like paying a (very reasonable) sum of money to laugh from nine to five, two days in a row. The other people in the class were funny and smart too so it was a delight from start to finish. There were stand-up comedy people, television writers and filmmakers, as well as novelists like me, and plenty of opportunity for us to collaborate and write quick sketches demonstrating what we’d just learnt. I think the very notion of comedy suffers from a reputation in general of being facile and lightweight. I’ve always disagreed with this opinion – I reckon a comedy is much harder to write than a tragedy and that comedy, like tragedy, can be profound. Plus in the best of each, there’s always some tragic elements to comedy and some comedy in tragedy – and that’s the reality of the human condition, isn’t it? 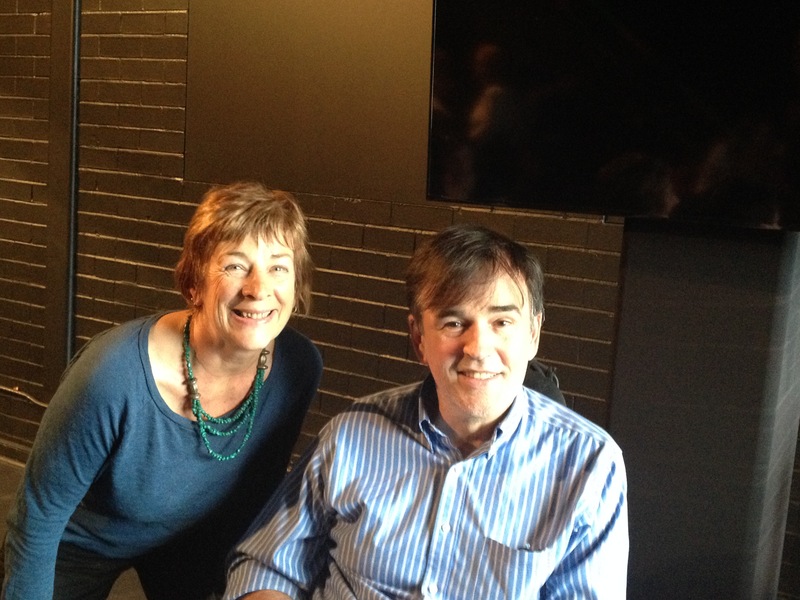 Tim Ferguson’s course and his book makes one think about comedy and how and why it works. His analysis enables us to see it in a new way. He gives examples of all these and presents a fascinating analysis of every type of joke. For example, under Truisms is ‘You can’t buy love. But you can pay heavily for it.’ (Henny Youngman) An example of the Confirmation category is Arnold Brown’s ‘I enjoy using the comedy of self-deprecation … but I’m not very good at it.’ The book goes into fascinating detail about writing situation comedies, how to develop a comic character and much more, including how to pitch your creation when it’s finished. Tim Ferguson’s book should refute the opinion that comedy is slight and inconsequential compared with drama and tragedy. Comedy is essential. Vanessa Redgrave performed with a troupe who went to Sarejevo during the 1990s Bosnian war. She said that of course she knew that people need theatre but seeing the intense hunger these people had for it really made her see how vital it is. They were being bombed every day but they seemed to need the theatre as much as they needed water and food. I don’t know what those actors performed but I wouldn’t mind betting that some of it was comedy. Comedy, like poetry and painting, goes straight to the heart. Eugene Ionesco (1909-1994) wrote: ‘Georges Huhamel said “Humor is the courtesy of despair.” Humor is therefore very important. At the same time, I can understand people who can’t laugh any more. How can you, with the carnage that is going on in the world – in the Middle East, in Africa, in South American, everywhere? There is awfully little that is conducive to mirth.’ Has the carnage diminished since Ionesco said that? Hardly. But I’d argue that because such terrible things keep happening in the world we need humour more than ever. I think that using humour is an act of courage. It is seeing the world for the unjust, horrifying or unsettling place it is and subverting that reality, presenting a new way of looking at it. It takes mental dexterity and emotional resilience. Those muscles need exercising for us to survive and flourish in a world as bad as this one. Tim Ferguson’s autobiography, Carry A Big Stick: A funny, fearless life of friendship, laughter and MS (Hachette, 2013) is a wonderful read too, honest, engrossing, warm and of course funny. He has also written a satirical novel, Left, Right and Centre (Penguin, 1997). I haven’t read that yet. I will – I’d read anything this beautiful man writes. I’d put his autobiography up there with David Leser’s To Begin to Know (Allen & Unwin, 2014) and Jonathan Self’s Self Abuse (John Murray, 2001). I’ve praised these two before in my 20 October, 2016 blog, ‘Brave books about love’. If you want sophisticated analysis of humour and beautifully written explanations of how to write it, this is the book for you. Even if he wasn’t funny, a person who thinks that ‘Life is not for doing the doable’ is a treat to read or listen to. Visit www.cheekymonkeycomedy.com for more information on Tim Ferguson and on his classes and books.